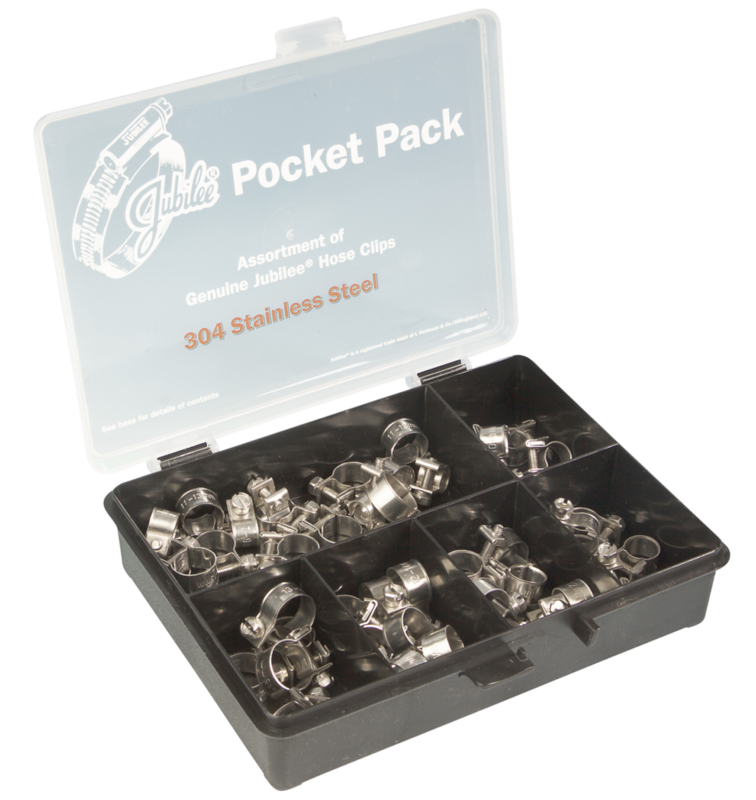 A useful pack containing 54 stainless steel Jubilee Junior clips covering fittings from 7mm to 16mm. 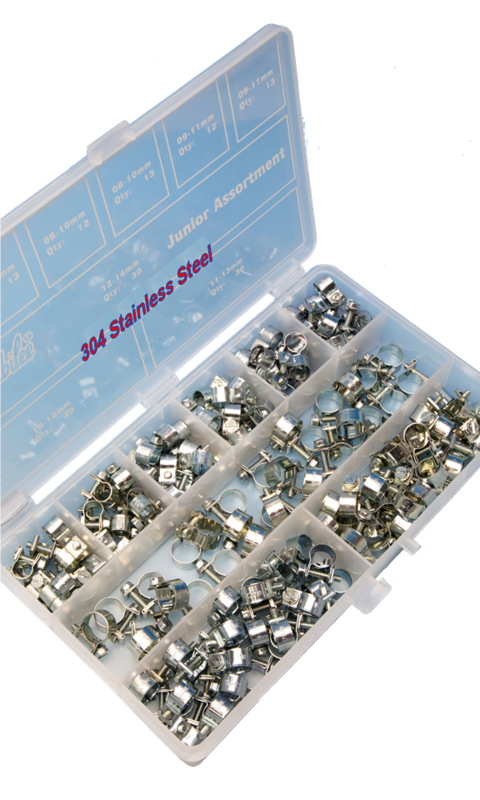 Also available with mild steel, 304 & 316 Stainless steel Jubilee Clips, or Jubilee Wingspade Clips. 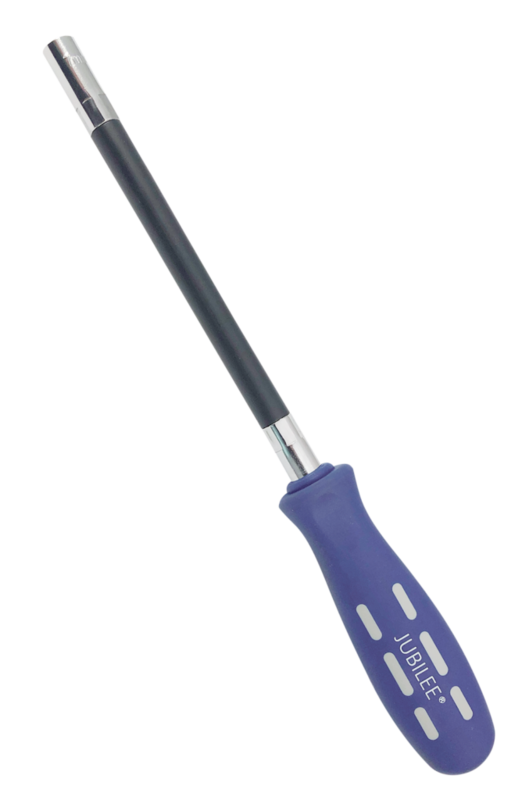 See our ‘Assorted Packs’ for more details. 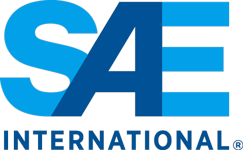 SAE J1508 Surface Vehicle Standards-Hose Clamp Specifications, Type FE is referenced in the quality control methods for the design/manufacture of Jubilee Junior Range Clips.